Given that new technological advancements can be seen almost everyday now, delivery drones were expected to arrive soon and they are here! A delivery drone is an Unmanned Aerial Vehicle (UAV) which can deliver packages, medical and food supplies. The RQ-7 Shadow is capable of delivering a 9.1 kg “Quick-MEDS” canister to front-line troops. UAVs can transport medicines and vaccines, and retrieve medical samples, into and out of remote or otherwise inaccessible regions. “Ambulance drones” rapidly deliver defibrillators in the crucial few minutes after cardiac arrests, and include livestream communication capability allowing paramedics to remotely observe and instruct on-scene individuals on how to use the defibrillators. 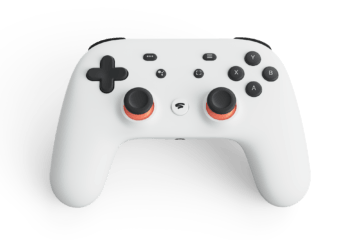 Watch the launch footage here. In July 2015, the FAA approved the first such use of a drone within the United States, to deliver medicine to a rural Virginia medical clinic in a program called “Let’s Fly Wisely”. 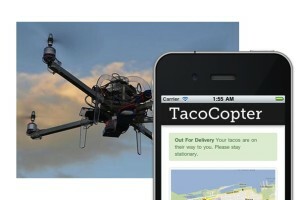 The Tacocopter is a taco delivery concept utilizing a smartphone app to order drone-delivered tacos in San Francisco area. 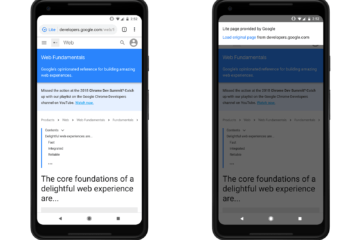 It was created by MIT graduate Star Simpson and its website went live in July 2011, garnering the public and the media attention. The revelation that it didn’t exist as a delivery system or app led to it being labelled a hoax. 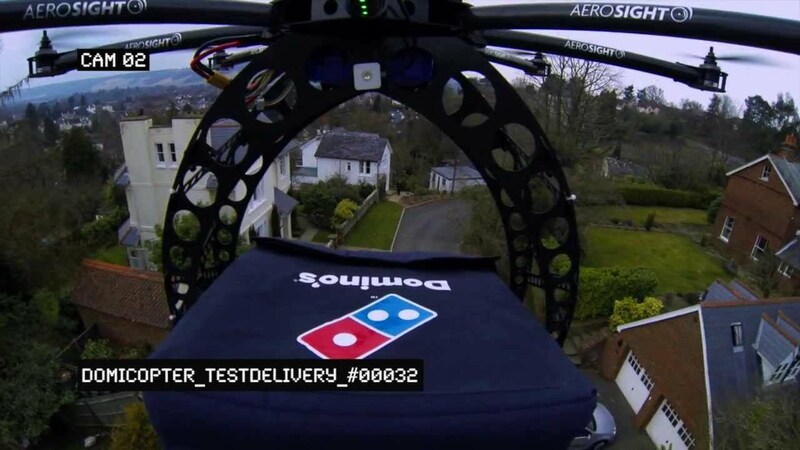 An independent British franchise of Domino’s Pizza tested a remote-controlled drone, called DomiCopter, to deliver pizzas. 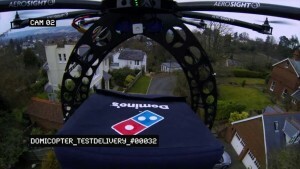 It was developed by a joint effort of U.K. drone specialist AeroSight, Big Communications and creative agency T + Biscuits. A short footage video was released in June 2013. A German-based restaurant on Anna Maria Island, Florida is testing a remote-controlled drone delivery service. 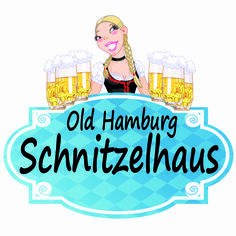 The delivery is called Old Hamburg Schnitzelhaus AIR, to deliver Schnitzel Wiener Schnitzel to the nearby beach. It is currently pending regulatory approval. It was developed inhouse with DJI drone parts. A footage video was released in November 2015. 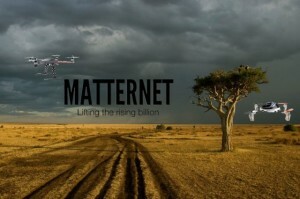 Matternet is a Silicon Valley startup developing small UAVs for the delivery of lightweight goods. 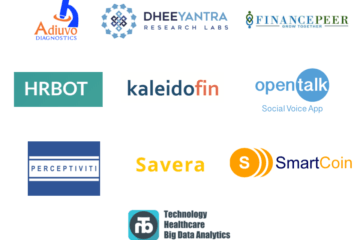 It had its origins in 2011 out of Singularity University, based at the NASA Ames Research Center in Moffett Field, CA. Their transportation solution comprises small UAVs able to carry up to 1 kilogram goods over distances of up to 20 kilometers on a battery charge. 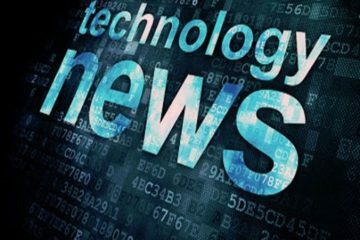 The UAVs are connected to a Cloud Software that aggregates weather, terrain and airspace data, and creates geo-fenced aerial routes for safe flight. The system is controlled by a smartphone app. It’s been reported that Matternet is also developing automatic landing stations, where the UAVs would swap batteries to extend their range. They had announced a public launch of the first UAV for transportation in Q1 of 2015. 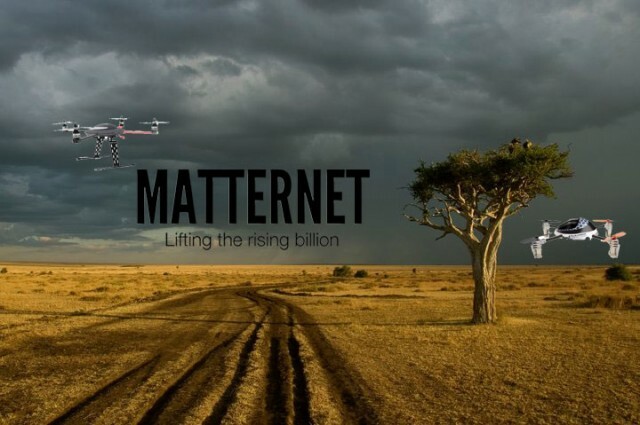 Their website reports that Matternet is creating “The ‘Apple II’ of the drone industry: the most easy to use, desirable and safest personal flying vehicle you have ever experienced.” Watch a detailed video here. 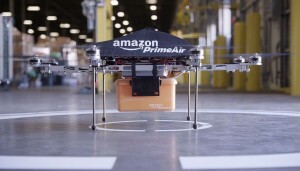 Amazon Prime Air – Amazon.com founder Jeff Bezos’ December 2013 announcement that Amazon was planning rapid delivery of lightweight commercial products using UAVs was met with skepticism, with perceived obstacles including federal and state regulatory approval, public safety, reliability, individual privacy, operator training and certification, security (hacking), payload thievery, and logistical challenges. In July 2014 it was revealed Amazon was working on its 8th and 9th drone prototypes, some that could fly 50 miles per hour and carry 5-pound packages, and had applied to the FAA to test them. Watch the clip here. Google had revealed in August 2014 that it had been testing UAVs in Australia for two years. The Google X program known as “Project Wing” aims to produce drones that can deliver not only products sold via e-commerce but even larger delivery items. United States Postal Service has been testing delivery systems with HorseFly Drones. Watch it here. FedEx is reported to be testing integration of drone delivery with their existing logistics model. 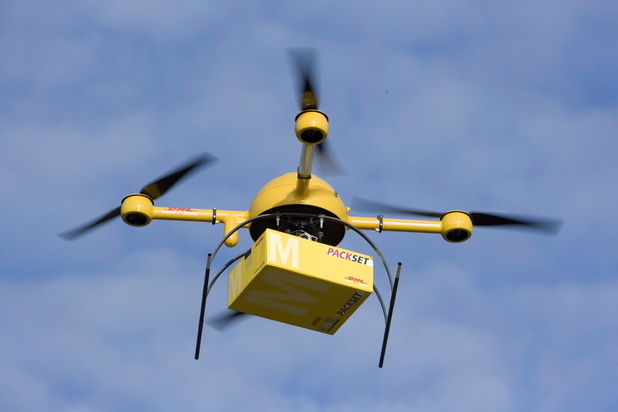 In December 2013, in a research project of Deutsche Post AG subsidiary DHL, a sub-kilogram quantity of medicine was delivered via a prototype Microdrones “parcelcopter,” raising speculation that disaster relief may be the first place the company will use the technology. DHL Parcelcopter is already in use in Germany. 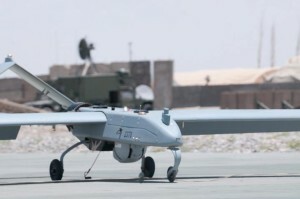 In February 2014, the prime minister and cabinet affairs minister of the United Arab Emirates (UAE) announced that the UAE planned to launch a fleet of UAVs for civilian purposes. Plans were for the UAVs to use fingerprint and eye-recognition systems to deliver official documents such as passports, ID cards and licenses, and supply emergency services at accidents. A battery-powered prototype four rotor UAV about half a meter across was displayed in Dubai. In February 2015, Hangzhou based e-commerce provider Ali Baba started delivery drone services around select cities in China. In March 2015, Shenzhen based SF Express started providing delivery services with Xaircraft drones in China. In May 2015, CJ Express initiated delivery with drone services in South Korea. In April 2016, a joint project in Japan involving the central government, Chiba City, research institutions and companies including Rakuten was launched to trial home drone deliveries in an urban area. A similar test project was carried out in Naka, Tokushima in February 2016 as a way to facilitate shopping for people who live in a depopulated area. Pros and cons of using drones for deliveries: The benefits and disadvantages of using drones for delivering goods are mostly the same as using airplanes for transporting cargo. You can traverse very difficult terrain (mountains, jungle, etc) with relative ease and take a much shorter route in many cases. You can very precisely deliver your package with a helicopter-like drone due to it’s VTOL capabilities. Unlike a plane, train or ship you do not have a set of fixed start and end locations. If a drone is going to be used in a residential setting, it’s unlikely that it’ll deliver your refrigerator. I saw a washing machine being delivered by air once to a cliff town. It took a small helicopter. Most drone payloads will be below 10-15lbs (5-7.5kg) until we have a major breakthrough in battery technology. Drones suffer from the same problems as rockets- the more you lift, or the further you want to go, the more energy you need, aka The Tyranny of the Rocket Equation. For drones, we’ve traded off on the distance and for the same problem we can not lift something heavy, we also can not fly that far. Drones that are dirigibles have an opposite set of pros and cons- they’re cheap, can carry heavier payloads and travel further. But they go much slower. For now, the advancements are quite thrilling. It will be interesting to see what future has in store for us! Previous ArticleMagic Cleaner To Wipe Away Junk From Your Smartphones !